By day's end, the White House had acceded and asked for an investigation, too. President Trump tweeted Friday night that the investigation is started and Kavanaugh "will someday be recognized as a truly great Justice of The United States Supreme Court!" It was a day of drama and tortured consciences, giving Democrats and those opposing Kavanaugh's nomination one last hope that something will emerge to derail Kavanaugh for good. Republicans, on the other hand, hope the FBI investigation will exonerate Kavanaugh, who has maintained he has committed no sexual misconduct amid allegations from Christine Blasey Ford and two other women. Republicans are putting everything in place for a vote late next week on Kavanaugh's nomination. But at what cost? In a year when women, especially Democratic women, are fired up to vote and wanting to send a message to President Trump, who has been accused of sexual assault or misconduct by at least 22 women, Republicans are taking a gamble that Kavanaugh's confirmation won't hurt them at the polls in November's midterm elections. In this cultural moment — when many women thought the #MeToo movement had moved the country beyond the he said, she said perceptions of the 1991 Anita Hill-Clarence Thomas hearings and into a new era — it's hard to see those women not being even more fired up to turn out at the polls if Kavanaugh is confirmed. At the same time, few things fire up the Republican base like a Supreme Court confirmation fight. And the elevation of this battle — with Kavanaugh's and Republicans' pitched and partisan cries — could have the effect of firing up a GOP base that sees the opposition as unyielding, unfair and willing to do anything to score a political point at Trump's expense. And confirming Kavanaugh even if the allegations from Ford are true is what 54 percent of Republicans want, according to an NPR/PBS NewsHour/Marist poll released this week before Thursday's hearing. Then they can say to Democrats, you wanted an investigation, you got one, now it's time to vote. And Republican leadership is moving apace for that vote to happen as quickly as possible late next week. 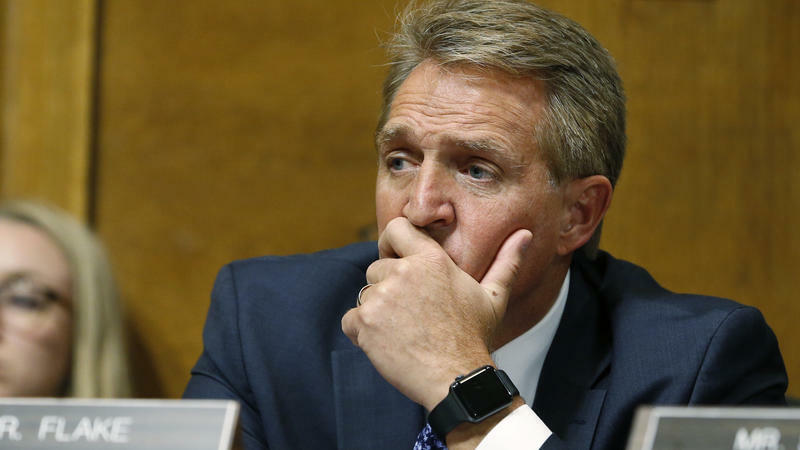 Nearly immediately after Flake emerged from a backroom Friday, where he was huddling with Democrats on the compromise plan for an investigation, Senate Judiciary Committee Chairman Chuck Grassley, R-Iowa, began the vote on Kavanaugh's nomination. Quickly, Kavanaugh was approved 11-10, along party lines, and moved along to the full Senate, even as Democrats on the committee were asking what exactly they were even voting on. Not wasting much time, either, Senate Majority Leader Mitch McConnell, R-Ky., got a procedural vote, originally scheduled for Saturday, out of the way Friday night to advance Kavanaugh's nomination to the Senate floor. 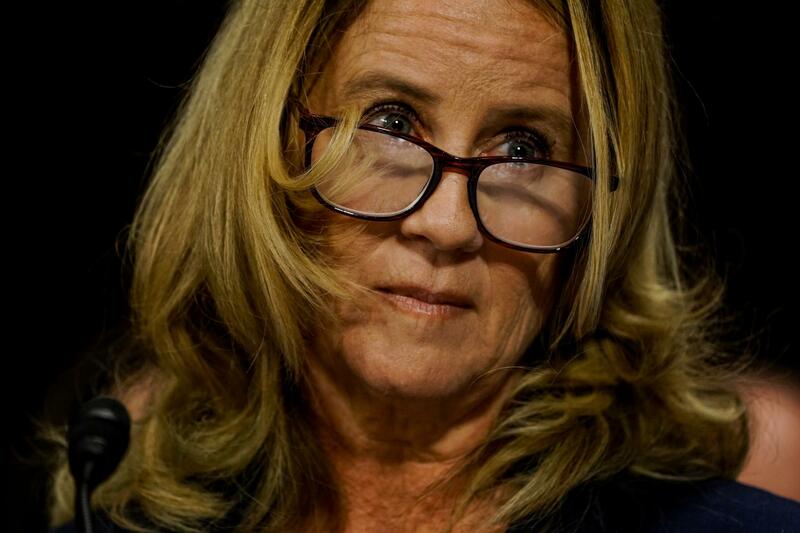 The hearings Thursday featured a "terrified" and, even as Republicans including the president said, "credible" Christine Blasey Ford, who accused Kavanaugh of a sexual assault while in high school decades ago — an allegation the federal appeals court judge has vehemently denied. 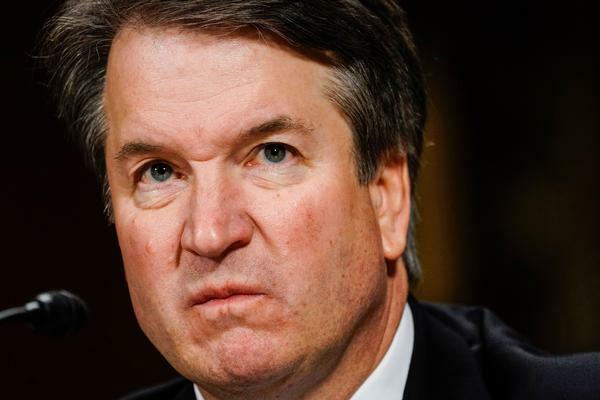 "This whole two-week effort has been a calculated and orchestrated political hit," Kavanaugh said, "fueled with apparent pent-up anger about President Trump and the 2016 election, fear that has been unfairly stoked about my judicial record, revenge on behalf of the Clintons and millions of dollars in money from outside left-wing opposition groups." It was the most partisan performance by a Supreme Court nominee in history. Republicans say it was justifiable outrage, because Kavanaugh's reputation has been forever marred and he maintains he has been wrongly accused. But Kavanaugh ripped off a veil of impartiality Americans have come to expect from Supreme Court justices. That veil is one reason Supreme Court justices — and the court itself – have been held in higher regard than Congress or the partisan politicians who occupy the Capitol. 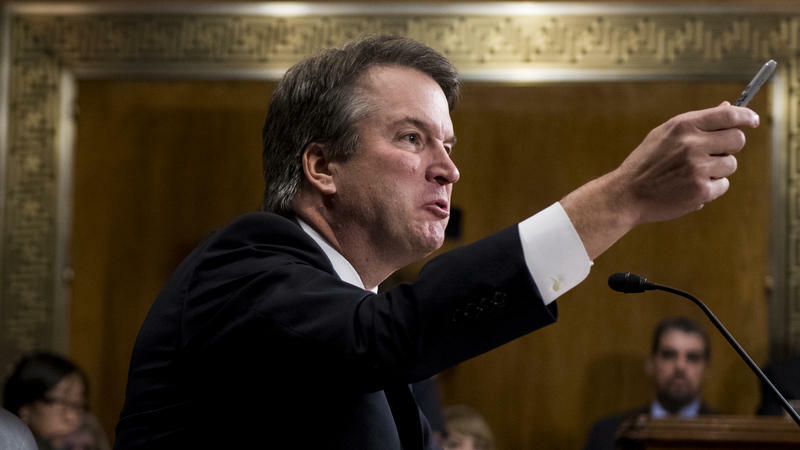 Kavanaugh's performance Thursday, with the help of Sen. Lindsey Graham of South Carolina, rallied the GOP — and that all-important audience of one, President Trump – to his side. After the hearing, Trump tweeted that "Judge Kavanaugh showed America exactly why I nominated him. His testimony was powerful, honest, riveting." It's not clear at this point whether Kavanaugh will be confirmed. 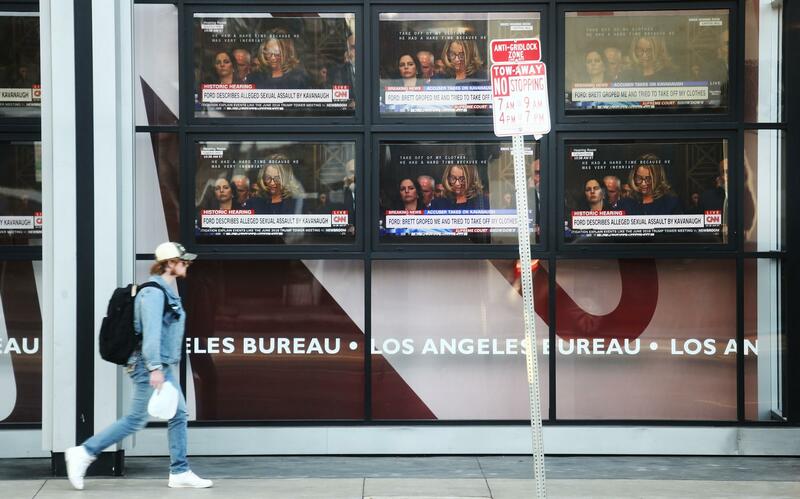 But for many Americans, regardless of political stripe and for different reasons, Thursday was emotional and frustrating, fist-shaking and embarrassing. It highlighted the kind of grievances and cultural divides that separated the country over the years and burst into full view with Trump's election, after simmering during much of the 2016 campaign. Thursday's hearing bruised a nation. It represented something of a de-evolution — of an institution in the Senate that has been progressively moving in this direction and of American politics itself, something few thought could get even worse. So where does that leave the country? There isn't a much better motivator to vote than anger, and Kavanaugh's confirmation fight — with the ideological direction of the Supreme Court hanging in the balance — is only likely to drench an already angry electorate with even more fuel.